An American-born actor long in Canada, Jim Byrnes is best known for playing 'Lifeguard', the communications expert and link to the "organization" on the CBS series "Wiseguy" (1987-1990), and as Joe Dawson, one of the Watchers tracking the immortals on "Highlander" (syndicated, from 1993-98). A handsome man, often bearded, Byrnes lost both his legs when, while helping push a stalled truck on a highway, he was hit from behind by a car. After recuperating, he pursued work as a musician, which also led to the acting career for which he had once trained. Born and raised in St Louis, he grew up on the city's north side. As a teenager going to music clubs, he and his buddy were often the only white people in the place. "We never had any problems. We were too naïve, too innocent, and had too much respect for the music and the culture - they knew it, they could tell." Starting piano at age five, by age thirteen Jim was singing and playing blues guitar, and he continues to play on his favorite guitar, a Gibson 1969 Hummingbird. In addition to being a musician, acting always seemed to strike a chord, ever since he did Shakespeare in the Park in St. Louis when he was 15. He studied acting at Boston University and St. Louis University. 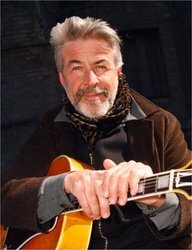 In 1981 he formed the blues group, The Jim Byrnes Band, began playing dates throughout Canada, and has become a staple of the Vancouver music scene. The band has released three albums, "Burnin'", "I Turned My Nights Into Days" and "That River." In 1996, he won the Juno award for Best Blues/Gospel Album for "That River". He broke into the US TV market in 1987 acting in and singing a song he had written for the NBC miniseries "Hands of a Stranger". "Wiseguy", filmed in Vancouver, Canada, premiered later that year. In addition to acting, Jim has also done voices for the animated series "Dragon Warrior" (syndicated, 1990) and "Megaman" (syndicated, 1996), appeared in the short-lived syndicated series "Neon Rider" (1990) and performed blues songs on an episode of the HBO series "The Hitchhiker". He has co-starred in numerous TV movies, beginning with "The Red Spider" (CBS, 1988). He had strong moments playing a war veteran in the award-winning "Serving in Silence: The Margarethe Cammermeyer Story" (NBC, 1995) and reprised the role of Lifeguard for a "Wiseguy" reunion movie on ABC in 1996. In 1993, he was nominated for a Genie for Best Actor in a Supporting Role for his work in "Harmony Cats", and in 1996 won the Leo for Best Actor in a TV Drama for his work in Highlander. Jim's feature film work has been limited, although he earned good notices as a musician in "Harmony Cats" (1994) and is also recalled as a police lieutenant in "Under the Gun" (1995). His most recent projects include filming episodes of "The Twilight Zone", "The Dead Zone", and "Just Cause" and doing voice work for both commercials and cartoons. He is also continuing work on an acoustic album, and is very excited about working on a CD with the legendary gospel group The Soul Stirres - the group Sam Cooke started with.